Today’s design options are so numerous that decorating a space can be daunting. The beautiful store displays, intriguing ideas on HGTV, and enticing magazine photos offer so many options that you may find yourself more confused than inspired. 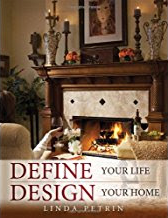 Next time you want to start a decorating project, begin with a good look at your lifestyle. Then head to the stores or thumb through the magazines. Most of your design direction can be found by noting your activities at home, discerning your personal style, and determining how you want a room to feel. The answers to these five questions will help clarify your design selections. Count on making better choices, feeling more confident, and having fun with this new decorating method. How do I use this room, and what is missing to complete the use of this space? If you read, for instance, maybe you need a lamp next to a reading chair or a magazine holder for reading material. Make a list of these items. What don't I use in this room, and where else could it be used? For example, remove uncomfortable chairs nobody sits in or a desk that gathers dust. Now there will be room to add more suitable furnishings. What aesthetic style suits the activities that will happen in this space? Look to your own personality for some ideas. Do you view yourself as sophisticated, warm and friendly, or bright and vivacious? Let your personality shine in the room. Jot down some descriptive words that describe the vibe you want. When you are shopping, ask yourself if the piece you’re considering matches that description. This will help keep your vision on track. What sensory experiences can I add to the room to make it more interesting? Think of a variety of textures: nubby fabrics, smooth glass, or worn woods. Consider scented candles or a diffuser, music options, bowls of fruit or a dish of nuts. A room is more appealing when experienced with all five senses. If the room is a public space (such as a living room or great room), what personal elements can be added for a sense of connection? Add a coffee table photo album, small table game like tic-tac-toe, or quality souvenirs from travels. You may need to add a display case, a collection of coordinating picture frames, or table game to your list. The answers to these questions have provided you with a shopping list to decorate a room inspired by your needs, aesthetic style, and sense of place. Now, with a clear design vision, you are ready to create a room with your identity stamped all over it.